If there is one thing that Google will always be known for is its ability to both retrieve and serve information most people would not even think about, at least not immediately. The company has made a fortune by managing data and when you set the privacy issues aside for a moment you can see just how much information you have access to directly at your fingertips. 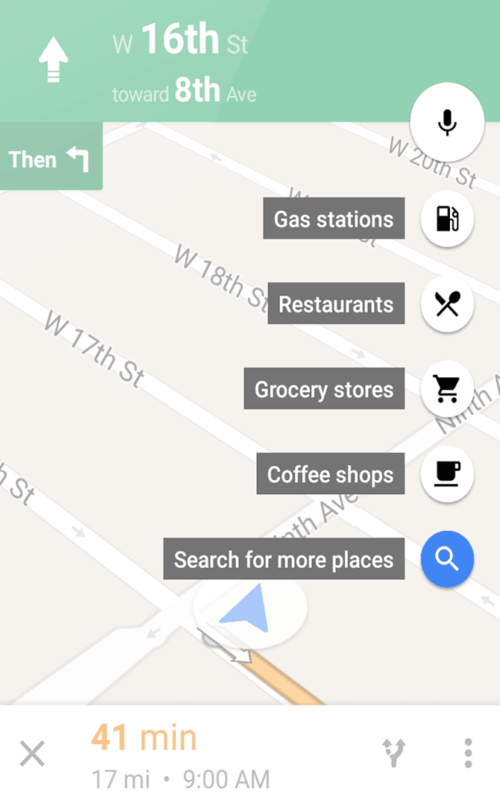 For instance, the most recent update to Google Maps not only brought offline navigation but also the ability to instantly search for gas stations, along with prices and route guidance. The update has already rolled out in all Android devices but gas station information is limited to the US only, at least for now. Users of iOS will need to wait a bit longer before they receive the update as Google has not mentioned anything about it yet. 1. I am assuming that you already know how to navigate with Google Maps so go ahead and make the app give you driving instructions to any place. 2. In the navigation screen, tap on the magnifying glass icon at the top right corner. 3. That screen will feature a selection of places you can visit including gas stations, restaurants, grocery stores and more. Select the one you want and all nearby locations will pop up in your screen. 4. Depending on your selection, the added places will have different kinds of information. 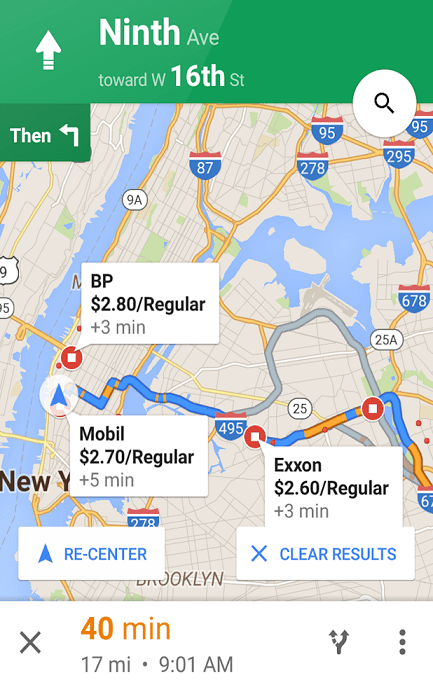 For instance, gas stations will sometimes have price information so you can find the cheapest one instantly. Google Maps will also calculate how much time the detour will take so you can choose the fastest one in case you are in a hurry. 5. When you have chosen the location you want to go to, tap on its icon to bring up the additional options menu. 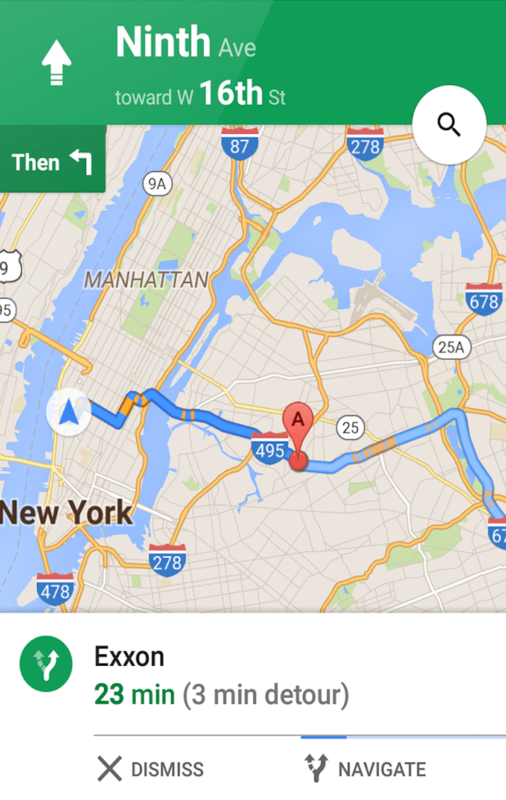 Tap on “Navigate” and Google Maps will automatically reroute you to the new destination.